New York, New York (November 26, 2018) — Today, Iraq and Afghanistan Veterans of America (IAVA), the leading Post-9/11 veterans advocacy and support organization, is proud to announce our continued support for and promotion of equality for all troops and veterans. On the heels of the Thanksgiving holiday request to the Supreme Court to rule on President Trump’s proposed transgender ban in the military, IAVA renews the call to respect the service of all who have volunteered to serve by delivering powerful testimony before the New York City Council regarding upgrades for other than honorable discharges for veterans, potentially based on their sexual orientation. IAVA also joined a recent amicus curiae to push back on the Administration’s proposed transgender ban. We stand by the fact that diversity is a force multiplier for our armed forces and IAVA is proud of its record of being on the right side of equality issues within the Department of Defense (DoD) and the Department of Veterans’ Affairs (VA). 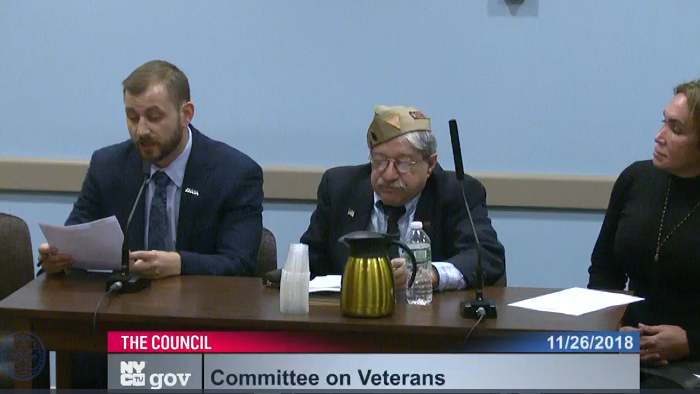 It is with this long history of promoting equality for all of our veterans and servicemembers that IAVA supports the intention behind both of the bills before the NYC Council today, Int. 479 and Int.1218. For many years, LGBT service members could be separated under less than honorable conditions simply for their sexual orientation, and many were. This discharge status limited access to critical earned benefits and health care. While that practice is no longer in place for LGBT service members, there are still many LGBT veterans that are unfairly holding other than honorable discharges. We recognize that the changes of status and benefits available to LGBT troops and veterans in the past could leave many of them confused or unaware of what is available to them. This problem is compounded by veterans who are disconnected from the VA and DoD because of their discharge status. Many veterans may not be aware that they can change their discharge status. Others may feel shunned or fearful of the VA because of their discharge status. These bills aim to alleviate and correct this past harmful practice. You can read Vadim’s full testimony here. If you are a veteran experiencing challenges with access to VA care and benefits due to an other than honorable discharge status, or know a veteran that is, IAVA’s innovative and free Rapid Response Referral Program (RRRP) is here to help.